From the organizer: The longest running art open mic is back at home at the new Doors every Monday!!!! Free Thoughts Art Variety Show is an art open mic for poets, comedians, painters, musicians and more. 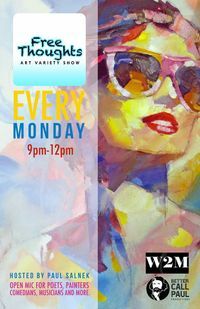 So come out every Monday for an unique night of performances !! !